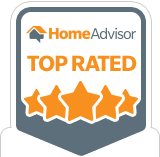 Hillsborough, NJ, 50 Old Camplain Rd, January 17th, 2019 – Levco Pools Inc., is proud to announce that it has earned the home service industry’s coveted Angie’s List Super Service Award (SSA). This award honors service professionals who have maintained exceptional service ratings and reviews on Angie’s List in 2018. “We are once again thrilled to have received the coveted Angie’s List Super Service Award. We never take for granted the confidence and trust that our customers put in us when we work for them. Our goal is to go above and beyond, and this award underscores that our customers recognize this.” Shawn Nisse, President, Levco Pools. Levco Pools has been listed on Angie’s List since 2010. This is the 9th year in a row that Levco Pools has won Angie’s List Super Service Award.